You can visit our websites without giving any details about yourself, however we store access data in server log files. These files will include your IP address and are deleted automatically every 10 days. If you use our Design & Print application, we keep these files for 21 days as they are essential for any technical investigations we carry out when trying to find the source of a defect. 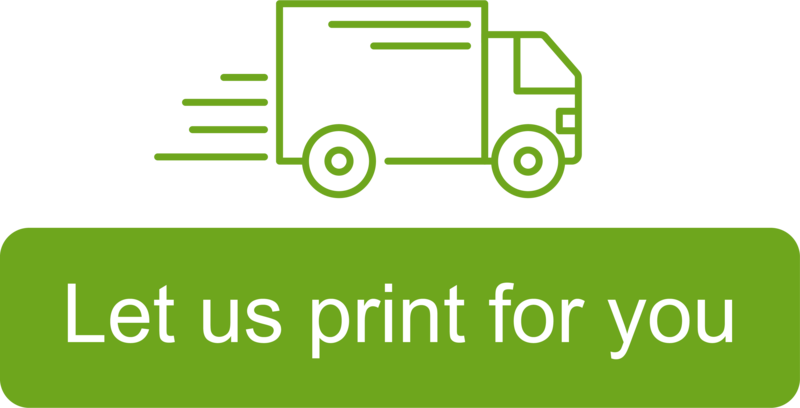 We collect and store personal data so that we can successfully deliver the service you require, such as a newsletter, a Design & Print account or an order through our WePrint site. We will never send you marketing information, unless you have given us permission to do so. We will store your information until it is no longer needed, after the expiration of statutory preservation duties, either upon you deleting your account or you sending us a request via [email protected]. Should you not access your account for a consecutive period of 3 years, we may delete your details. Should you then want to use your account, you will need to create a brand new account. In some limited circumstances, Avery UK may be legally required to share certain personal data, which might include yours, if we are involved in legal proceedings or complying with legal obligations, a court order, or the instructions of a government authority. In the course of signing up for a personal, online account within our Design & Print services, we will obtain and store personal data from you for contractual reasons so that we can store saved projects on your behalf. This data includes your designs and account details. Your email address will act as your account ID. We ask for your name so that we can welcome you to the site and so you know that you are logged in. We will not use your data for direct marketing communications, unless you have opted in to receive our newsletter. Your data is stored on our secured servers and is accessible to selected Avery UK employees, such as consumer service agents for the provision of technical support. We may, if requested by you, view and edit your saved projects in order to optimise or correct your designs for printing. In addition, Avery UK may view your saved projects from time to time for New Product Development purposes. We will never share your personal data or designs with third parties and will delete all stored data once it is no longer needed. Accounts that are inactive for 3 years will be flagged for deletion. If no activity occurs for an additional 12 months (48 month total), your data and designs may be purged in order to protect the privacy of your personal information. If you create an account with Avery WePrint, this account is used by you to store your purchase history and designs saved within the Avery WePrint design tool. This data includes your designs and account details. Your email address will act as your account ID. The data is stored on our secured servers and is accessible to selected Avery UK employees, such as consumer service agents when providing technical support. We may view and edit your saved projects or orders in order to optimise or correct your designs for printing and order fulfilment. We will only use your data for marketing purposes if you give Avery UK permission to do so. You can manage this permission within your WePrint account. You may also opt out of email communications by clicking on the link provided in each of our newsletters or by contacting customer services on [email protected]. We ask TrustPilot® to send you an invitation to rate our service after you have purchased; this email is only used for the purpose of the invite. Remember products you have ordered when you get to the basket. Identifying you as being signed in and keeping you logged in during your visit. Help us improve the website by measuring and errors encountered.. Customer Preference Cookies – these remember your preferences such as language for the next time you use our sites. Advertising & Marketing Cookies (3rd Party) – these cookies are used to deliver Avery relevant ads and promotions to you on our site and third party platforms and websites such as Facebook, Bing and Google. These 3rd parties may use this information to target advertising to you on other websites. You have the right to access the personal data that Avery UK holds for you. You have the right to request the restriction or suppression of your personal data. This means Avery UK are permitted to store your personal data, but not use it. However, this may make the delivery of certain services impossible. The right to data portability allows you to obtain and reuse the personal data Avery UK holds on you for your own purposes across other services. This allows you to move, copy or transfer personal data easily from one IT environment to another in a safe and secure way, without hindrance to usability. This right refers to data processing that is done automatically without human involvement. In the case of Avery UK, this refers to our newsletter and websites, where we may use information we collect to tailor our marketing messages and product information to you. You can make requests regarding any of these rights via an email to [email protected]. We will action these requests free of charge within 4 weeks of the request being received.